Light: a Form of Pollution? One of the negative effects of industrialization on human activity and the environment is the production of excessive light. It may seem strange, but excess light is a form of pollution, particularly at night. The negative effects of light pollution impact many fields of study, including economics, ecology and, of course, astronomy. Most people do not consider the surplus of artificial light as a form of pollution because it is not permanent; all we must do is collectively turn out our lights to make it disappear. In reality, however, such a solution is unrealistic because our society needs artificial light to function. Light pollution is mainly caused by lighting systems that are misdirected, excessive, inefficient or unnecessary. Most light pollution is found in urban settings where artificial light sources are numerous. In these areas, light sources may be partly directed towards the sky, or downward directed light may be reflected upward. Light is then dispersed by layers in the atmosphere and produces a glow that diminishes the darkness of the night sky. In large Canadian cities, more than 95% of stars that can normally be seen with the naked eye are no longer visible. The negative effects of light pollution on human activity are numerous. From an economic point of view, for example, the use of excessive lighting or unnecessary lighting constitutes a waste of energy that is costly to both the individual and to industries. In Quebec, the cost of “lighting the sky” is estimated at 50 million dollars per year. 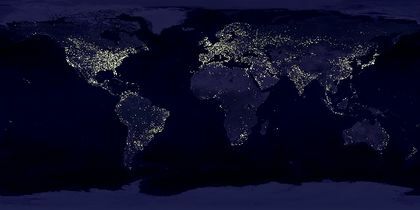 On a larger scale, excessive lighting can have an impact on global climate change if the required electricity was generated by burning fossil fuels. Wildlife and plants are also affected. For example, nighttime lighting can confuse animals that migrate (like moths and migratory birds), can modify predator-prey relationships, and can even alter competitiveness within the same species. In the case of moths, for example, it was discovered that numerous flowering plants declined in numbers when the flight paths of pollinating moth species were affected by light pollution. It is even possible for entire ecosystems to be affected. In lakes, for example, zooplankton may stop feeding on algae if nighttime lighting is too strong. 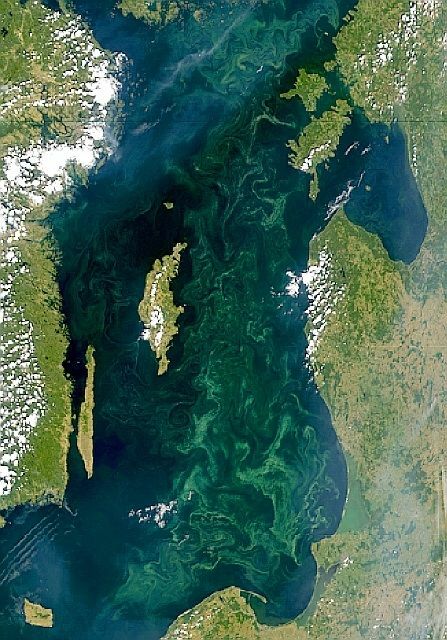 The result is excessive algae growth that eventually decomposes and causes an increase in bacterial activity. This leads to oxygen depletion in the lake, and many species of invertebrates and fish then die by asphyxiation. In astronomy, light pollution is a real and pressing problem. It diminishes the contrast between the dark sky and celestial sources of light, which makes it harder to see the stars. For the amateur astronomer, it is a major problem because access to a truly dark sky is increasingly difficult to find. The increasing inaccessibility of the starry sky is unfortunate because it has become evident that amateur astronomy plays an important role in the development of scientific interest among young people. In 2003, the British government even acknowledged the link between a reduced interest in the sciences and an increase in light pollution! For professional astronomers, artificial light is undesirable because it interferes with the collection of data. This is why new observatories are built in isolated regions. All over the world today, initiatives aiming at protecting the integrity of the dark sky are being implemented. Organisations such as the International Dark Sky Association (IDA) and the Royal Astronomical Society of Canada (RASC) have set up programs designed to recognize land areas possessing an exceptional quality of starry nights or communities where important efforts are being undertaken to control light pollution. 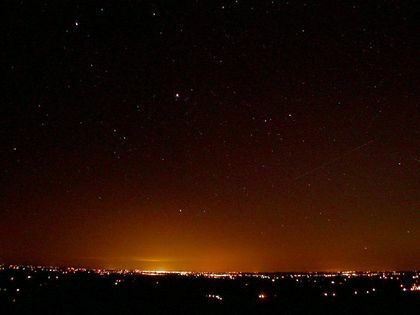 In 2007, following an important light pollution abatement program, the Mont-Mégantic region was officially designated by IDA as the first International Dark Sky Reserve. The 5300 square kilometres area, located in the South-East of Quebec, is centered around Mont-Mégantic Observatory. The night sky protection project, undertaken by ASTROLab, with the collaboration of Mont-Mégantic National Park, Mont-Mégantic Observatory, local communities and municipal, provincial and federal officials, has made it possible to respond adequately to exterior lighting needs while achieving considerable energy savings. In 2013, RASC has recognized Wood Buffalo National Park as a Dark Sky Preserve. Covering an area of over 44,000 square kilometres straddling Alberta and North West Territories, it is today the largest Dark Sky reserve in the world. The idea of reducing light pollution is often interpreted as a need to stop lighting our environment at night, which is far from reality: reducing light pollution simply means to better light our environment, without compromising security. Everyone can easily help protect the night, by adopting four lighting principles that ensure a safe environment while minimizing impacts on the night sky, ecosystems and human health: intensity, direction, period and color. Reduce intensity. Choose luminaires that produce low-keyed and constant lighting, with not too excessive light intensity. This will let the eye better adapt to ambient brightness while ensuring necessary visibility and site security. Adjust orientation. Choose luminaires whose luminous flux is oriented towards the area to be lighted. Don’t forget that light emitted towards the sky does not help to see better and that light emitted towards the horizon contributes to glare. Control time. Time and length of use of light fixtures must also be considered. Install a timer, a motion detector, or simply always turn off the lights before going to bed... the idea is to use only the lighting you need. Limit blue light. 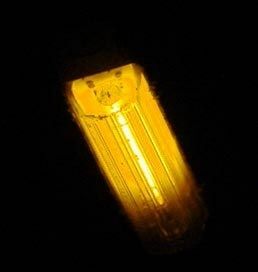 Give preference to amber light sources over white ones, which are more harmful to sky glow and health, due to their large proportion of blue light. Hubert Reeves what light pollution is. Light pollution. It's a fact that year by year, the amount of light emitted by cities around the world – urban lighting – has become excessive. The first effect, and I would say the most dramatic, is that it steals the sky. People no longer see the sky. There are many people out there who have never seen the Milky Way, who have never seen zodiacal light. Sometimes I ask people, "Do you know what zodiacal light is?" Three-quarters of them do not know, they have never even heard the word. It's part of something that held great significance in the past. It's contact with the sky. It's that feeling you get when you go outside on a beautiful starry night, Milky Way and all. That contact was present throughout humanity until only a few decades ago. It is absent now and it must be given back to the people, but this can only happen by continuing the growing battle against light pollution, by explaining why it is not necessary for so much lighting, that it is useless to light up the sky, that it is a waste of energy. Nowadays everyone is looking to reduce energy, yet we still light up the sky. What a complete waste! Another important consideration, that we are only just now realizing, is that light pollution also causes significant disturbances to plant and animal life. Luminous pollution is 95% responsible for the disappearance of stars in the sky. Click the different items in the drawing to see just how bad luminous pollution is for the entire planet. Then choose to light what is really necessary. You will see that we waste a lot of light and energy in our cities. Note that some kinds of light create more problems than others. See how it would be possible to choose less polluting light sources in some cases and how some lights are completely useless and inefficient.